(Natural News) Gluten-free bread is all the rage these days, but one issue that some people have with it is its nutritional content – or seemingly lack thereof. The absence of grains, for one, means that gluten-free bread could also be low in protein, dietary fiber, and essential minerals. Indeed, there are ways to work around this issue, but a study in CyTA – Journal of Food suggests a more common alternative – red potatoes. Researchers from the University of Agriculture in Krakow in Poland, together with a team from the Slovak University of Agriculture in Nitra, have indicated that red potatoes are an ideal addition to gluten-free bread thanks to their wealth of nutrients. For the study, the team used three varieties of red potatoes: Magenta Love, Violeta, and Blue Star. To prepare the starch, researchers first freeze-dried the potatoes for 40 hours before grinding them and acquiring samples for nutritional component analyses. They then prepared two batches of six gluten-free bread loaves: The control batch was made with maize and potato starch, while the experimental batch was made with a five-percent substitute of the freeze-dried potato starch. The loaves – after baking and cooling – were stored in polyethylene bags and left to stand under ambient conditions. For the next part of the experiment, the researchers examined the physical properties of the loaves of bread. This entailed measuring crumb structure and bread volume, analyzing crumb colors, and performing breadcrumb texture profile analyses. Additionally, 12 volunteers evaluated the bread loaves according to these criteria: appearance, taste, smell, crumb elasticity and porousness, and crust color and thickness. In addition, the bread containing Magenta Love was deemed the most desirable in terms of physical properties. As noted by the researchers, this bread had the greatest volume, reduced hardness, and most cohesiveness. These qualities were consistent when the bread was freshly baked and when it was stored. As a result, the volunteers found this bread to be the most appealing. Not just in terms of appearance, crust color and thickness, and crumb elasticity, but also with regards to the smell and taste. Thus, the researchers concluded that adding freeze-dried Magenta Love potatoes to gluten-free bread dough would greatly improve its nutritional content and physical qualities. As demonstrated by this study, a diet that lacks gluten may be detrimental to one’s health. According to MedicalNewsToday.com, avoiding gluten can cause you to miss out on a plethora of important nutrients. These include fiber, calcium, iron, folate, niacin, riboflavin, and thiamin. Although it’s possible to make up for the loss of fiber with beans and lentils, they have their own ill effects. Being high in starch means that eating too many beans and lentils can produce a sudden spike in blood sugar. Moreover, improperly cooked beans have phytate, an organic compound that impedes mineral and vitamin absorption. Many health experts have warned that gluten is really only bad for those suffering from Celiac disease. 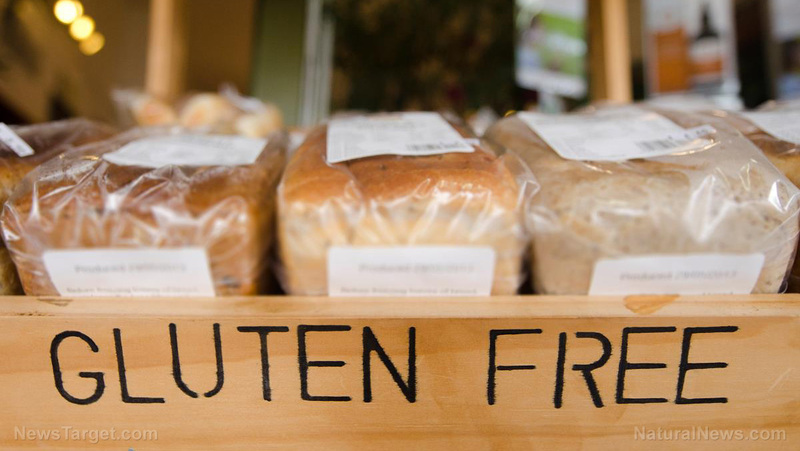 So unless you’re a celiac, you have no real reason to go gluten-free. Visit FoodScience.news for more studies about your favorite foods.